McIntire, Theresa M., S. Rachelle Smalley, John T. Newberg, A. Scott Lea, John C. Hemminger, Barbara J. Finlayson-Pitts. "Substrate Changes Associated with the Chemistry of Self-Assembled Monolayers on Silicon." Langmuir (2006) 22(13): 5617-5624. Sumner, Ann Louise, Erik J. Menke, Yael Dubowski, John T. Newberg, Reginald M. Penner, John C. Hemminger, Lisa M. Wingen, Theo Brauers, Barbara J. Finlayson-Pitts. "The Nature of Water on Surfaces of Laboratory Systems and Implications for Heterogeneous Chemistry in the Troposphere." Phys. Chem. Chem. Phys. (2004) 6: 604-613. Mennicke, Ulrike, Tim Salditt. 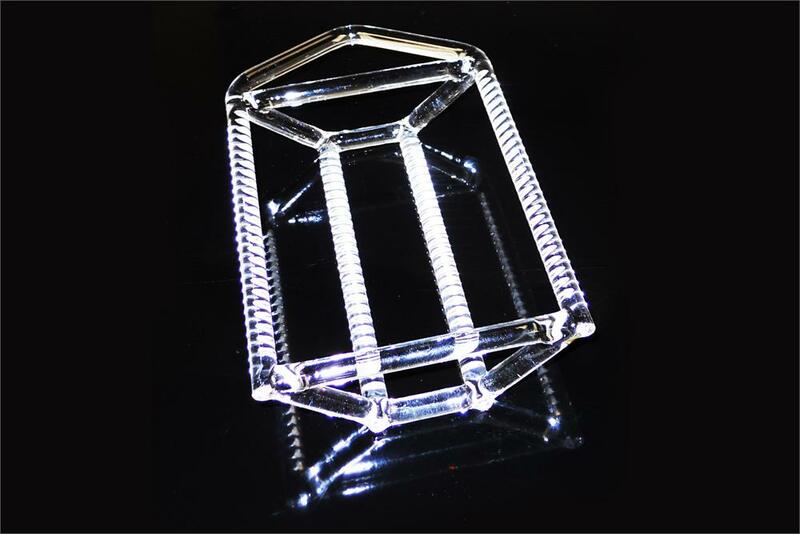 "Preparation of Solid-Supported Lipid Bilayers by Spin-Coating." 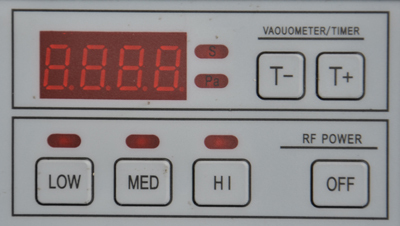 Langmuir (2002) 18: 8172-8177. 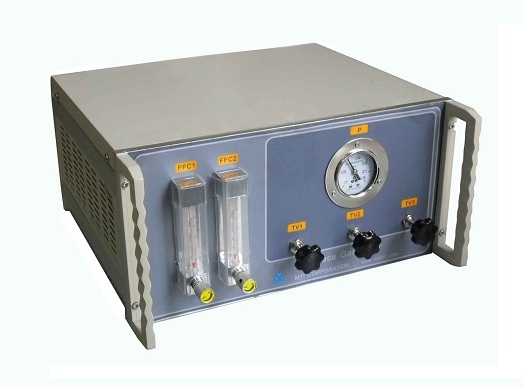 RF Power: 30 W Max. 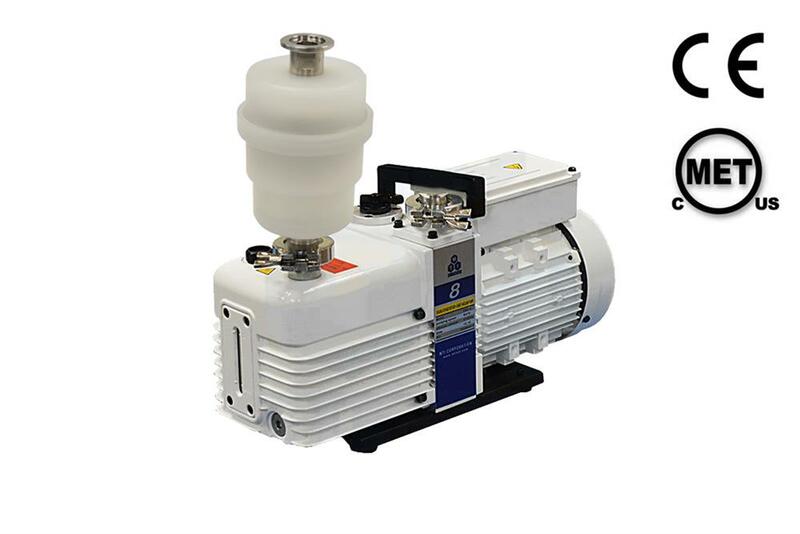 Control Function: Clean time, RF Power, Vacuum Pump. 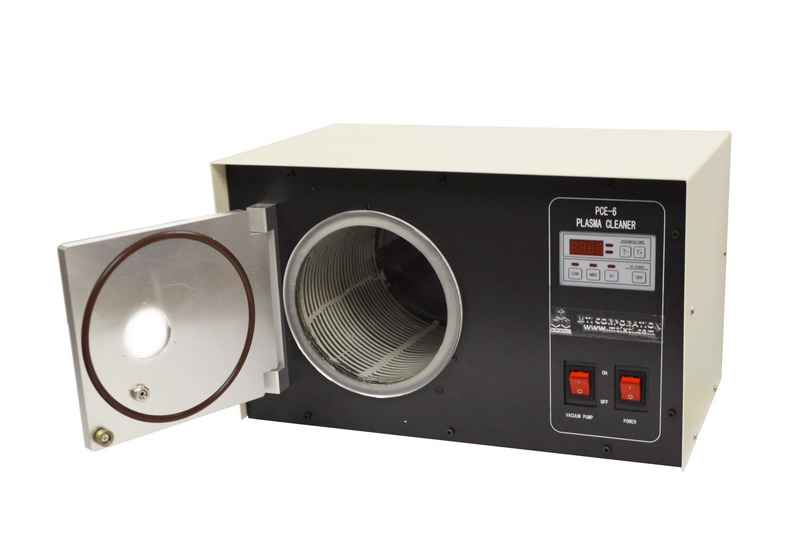 Both 110V or 220V are available, please specify when purchase. 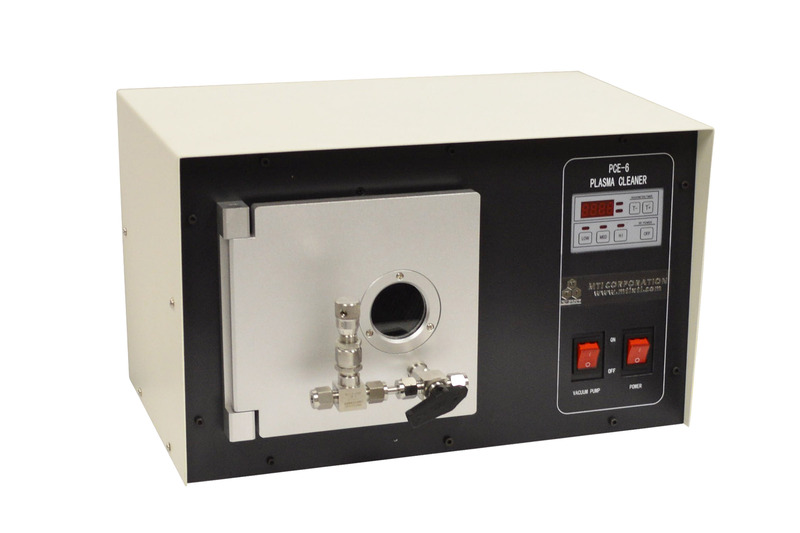 Combinations of PCE-6 plasma cleaner with Two Channel Gas Mixer will be a solution for introducing up to two process gases. 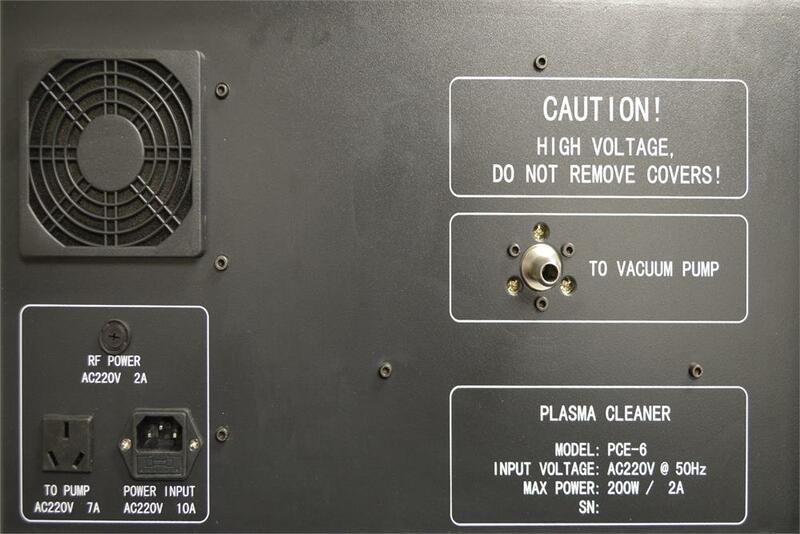 Order plasma cleaner with the two-channel gas mixer from product options or Click the picture left for Two Channel Gas Mixer. 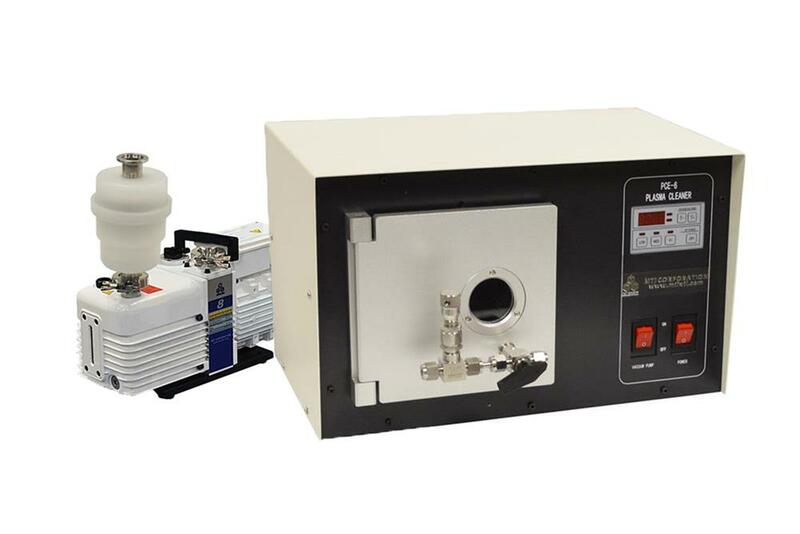 Application Note： Positive Pressure may damage Plasma Quartz Chamber.